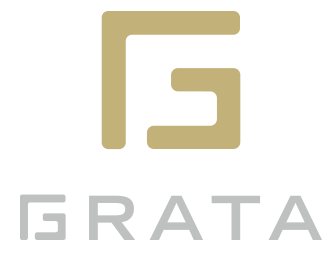 We’ve prepared a checklist of best practices for getting setup and getting the best value from your Grata console. Grata does not install any software on your machines. Grata’s web console works through your web browser. We develop and test first in the latest version of Google Chrome, though you can also use the latest version of Firefox. When you register a new Grata account on grata.co or grata.cn, by default your account is homed on servers within the Mainland China firewall. If the primary location of your agents is outside of Mainland China, or if you intend to connect a Facebook page, we can move your account to servers outside of Mainland China. Note that you may require a VPN to login and use a non-Mainland China account from within Mainland China. If your office network uses a proxy, VPN, firewall, MPLS, or other specialized configuration check the Network Configuration page for a complete list of URLs and IP addresses to properly configure your network for Grata. Your team will be listening out for audio notifications when a new chat starts. Additionally, if you’re connecting WeChat or Facebook to Grata, agents need to be able to listen to any audio messages sent by your followers. Makes sure all workstations have appropriate speakers or headphones. If audio out is not possible at some workstations, agents will still receive browser pop-up notifications for new users and new messages. If you want your agents to be able to send audio messages to users, make sure each workstation has an appropriate microphone. Your customers need a way to message your agents. You’ll need to get at least one channel connected to Grata before you’ll see any new chat notifications in your console. Once you’ve logged into your new account, you can follow the welcome banner in the console to the admin backend. There are links at the bottom of the side menu to the various channels. Who are your agents? Add agents to the Team page on the Grata backend and we’ll email them invitations with their log-in password. Tell your customers how easy it is to reach you. Display your WeChat or Facebook QR codes on email signatures, business cards, your website, sales literature and promotional materials… everywhere. Add a prompt to your new follower greetings on WeChat and Facebook asking if there “Is there anything we can help you with?”. Add a WeChat menu button for “Live Chat”. Grata clients generally have response times measured in a matter of seconds, but if you don’t tell your user’s how good you are at service, they might assume no one is online. Consult our implementation guide for a more detailed discussion of setup and best practices targeted at enterprise installations.